From our law office in Jamestown, Pennsylvania, Douglas, Joseph & Olson Attorneys at Law helps clients throughout the region with all of their most important legal matters involving personal injury, workers' compensation, Social Security appeals and family law. We also provide unmatched representation and support for other civil law issues, including estate planning and trusts, as well as real estate contracts, transactions and more. Originally founded in 1994, our law firm has become the top choice for the residents of Mercer, Lawrence, Crawford and Venango counties and the surrounding areas. Staffed by some of the top attorneys in the country, Douglas, Joseph & Olson Attorneys at Law has earned a reputation as a law firm that gets results, and we often exceed the expectations of those we serve. 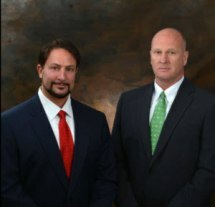 Backed by our decades of combined legal experience and utilizing a vast network of professional resources, we can handle the demands of your case regardless of how complex, and we will always treat you and your family with compassion and respect as we provide the personalized attention and customized solutions you deserve. To begin receiving this high level of commitment and support for your legal challenge, you can schedule a free initial consultation by contacting our law office or completing the online form on our website.